Spring is the perfect time to spend hours outdoors playing sports, going to concerts, eating great food, and enjoying the warmth of the sun. 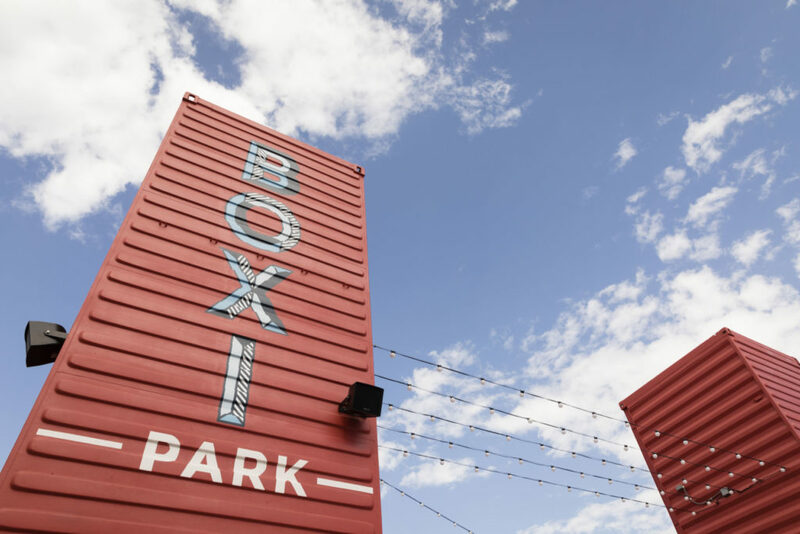 You can do all this and more at Boxi Park, Lake Nona’s newest outdoor entertainment facility made entirely of re-purposed shipping containers! Bring your family and friends for a full weekend of fun and a brand-new experience this Easter (April 20th and 21st). We don’t want you to stress about preparing and cooking for this Easter weekend. Instead of cooking for the whole family, bring them to one of Boxi Park’s many counter service restaurants. Eat classic burgers at The Grill Next Door or enjoy some traditional soul food at Fowl Play. We have food for everyone’s specific taste including seafood, Mexican food, and even gourmet pizza. After you are done indulging at one of our delicious eateries, cool down at Before it Melts, a soft-serve ice creamery featuring house made toppings and old-fashion flavors. You can also grab a Valkyrie Doughnut from Naughty and Nice, a grab-and-go restaurant serving farm fresh salads and pastries. Sometimes Easter Sunday can be difficult to plan if your whole family is visiting. Kids need to be entertained and adults want to relax and catch-up. Boxi Park has a variety of activities your entire family will enjoy. Children can slide down slides and climb on monkey bars at our playground, while teens and adults can participate in our volleyball tournaments. Adults can also pick up a beverage from one of our counter service bars, like Barnona, a premier mixed drink bar serving a variety of beers, wines, and cocktails. If you come on a Saturday, the family can also enjoy musical performances by local artists and DJ’s. We even have a dog park for your pooch to run and play, so you can really bring the whole family to celebrate Easter! Nothing says a relaxing Easter weekend like a day spent with family and friends, eating, drinking, and laughing in the breezy spring weather. Boxi Park has the right amount of entertainment for everyone. Make sure to check our calendar on our website and Facebook page for additional events and activities this spring and join in on the fun! Click here to learn more about Boxi Park.